So, if you are looking for a Free DVD Ripper software, with some of the amazing features, you are at the right place. In this article, we are going to talk about the Best DVD Ripper software which is entirely free to use. Also, we are giving away some licensed code to activate the software. If you want to win the free license code, then you can participate in the giveaway by commenting on why you want a DVD Ripper and share the article on any social media. When we talk about DVD you may remember some of your memories from last 5 years, where you enjoyed your movies with DVD, and those harsh time too when your DVD stopped working, and you ended up to lost some crucial data. Making a digital backup from your physical disc is the best solution to this problem. For this, you will need a DVD ripper. If you have any video file, then you can convert your DVD to MP4 too, because MP4 is the most acceptable format that is supported by most of the mobile phones. This article will also feature our brief list recommendations like Best DVD Ripper, DVD ripping software, DVD to MP4, and DVD to MP4 so if you are looking for the solution to any of the problem listed. Stick to this article. Talking about the best DVD ripper software, which is WinX DVD Ripper. It is coming with a powerful DVD to MP4 converter and supports the encryption of 99 title DVDs, which is widely used by Disney to protect their content from Copy and piracy. If you have any of the DVD with 99-title, you can use WinX DVD Ripper to convert DVD to MP4. It can help you to convert any kind of DVD to MP4 files, with great playback quality on different devices. WinX DVD Ripper supports Windows and Mac OS. • Support Any DVDs – WinX DVD Ripper widely supports homemade DVDs and DVD Region Code Enhanced (RCE), User operation prohibition (UOP), Sony ARccOS Protection, Disney DVD — Disney X-project DRM. It will automatically check the copy protections and remove them for your personal use. • Supports 350+ Video Format – this free DVD ripper list all the supported formats in the output profile, like DVD to MP4, AVI, WMV, MPEG, MOV, iPhone, iPad, Android, Windows devices, etc. • User-Friendly Interface – Even you are new to this DVD to MP4 ripper, you can easily know how to rip your DVD into any digital file. • The Fastest DVD to MP4 Ripper – Powered by Intel(R) QSV and NVIDIA NVENC/CUDA, WinX DVD Ripper enables us to rip DVD to MP4 with only 5 minutes. WinX DVD Ripper comes with level-3 hardware acceleration tech, which gives access to intensive data conversion in a smooth manner. Talking about the advantages of GPU Based hardware acceleration, you can consider it the features of WinX DVD Ripper too. GPU Acceleration – During conversion of files, the GPU-based acceleration will help other processes of computer smooth, and it will not affect other software. It enables the option to use Intel QSV and NVIDIA NVENC to boost DVD ripping speed. As a result, you will get a smooth and lag-free experience. Drastically, it will share the processing of CPU, and you can perform another task like Playing games, Music, Video editing, Any Productive work, etc. Fast – Level 3 Hardware acceleration, boost the speed of software to convert heavy files very fast. The user can get almost 50% speed improvements. More Compatible – Because of GPU Acceleration support, WinX DVD supports a wide number of laptops and computers. Even low-end machines can easily run this free DVD ripper. If you are a user with low-end machines, WinX DVD Ripper is your one-way destination. Also, the quality of output will be original too. 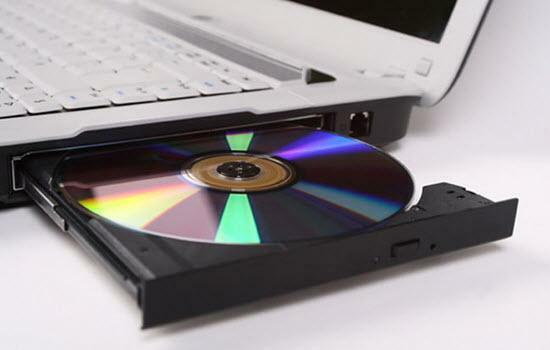 • Easy to Use – With only three steps, you can finish the whole DVD ripping progress. Every single user understands the advantages of the MP4 format, and that’s the reason behind the wide number of users asking for DVD to MP4 Ripper. In a way to convert your DVD to MP4, you have to follow these simple steps. We are using the best DVD ripper software WinX DVD here. Steps are followed in Windows; Mac users can follow the steps too because the user interface of the software is nearly the same here. Step 1: Add the source DVD or ISO Image or Disc folder. Open WinX DVD Ripper, click on DVD Disc Icon. A Pop-Up will open, where you have to select the source file. Then, click OK. Step 2: Select Output format. Step 3: Choose the Output Folder. Now, choose the output source, where you want to export your final MP4 video, make sure your disk has sufficient space for output. Step 4: Start DVD to MP4 Conversion. Now, the final step comes. Press the RUN button to start the conversion of DVD to MP4. The Hardware acceleration will automatically start in this process. WinX DVD Ripper official video intro: Watch the video to have a closer look of WinX DVD Software, and features. Saaquib is a Tech Enthusiastic, Who love to write about Cutting-edge Technology. Working as a Blogger and You Tuber from Last two year. Join me on Twitter, Instagram for Mobile and Gadgets Suggestions.